The weather in Austin last week was GLORIOUS! 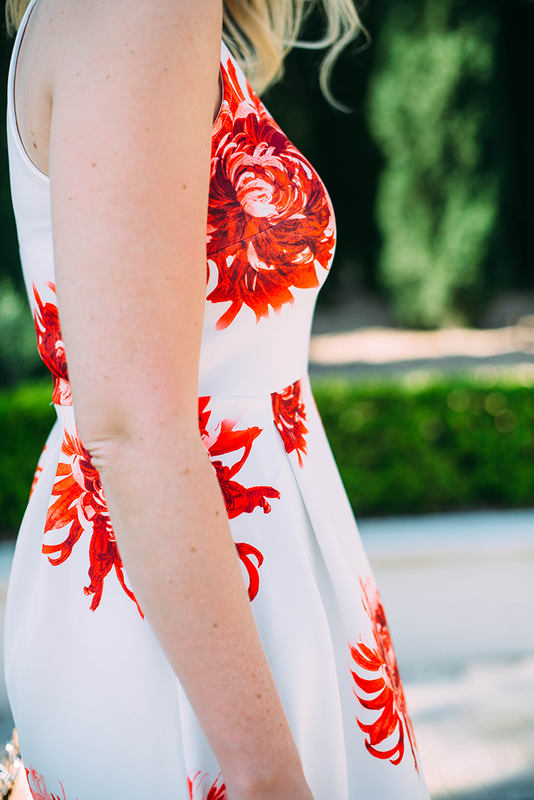 It gave me the opportunity to sport one of my newest additions for spring: this red & white floral dress from ASOS! Y’all, I can’t even describe to you how soft this dress is. It is so freaking comfortable! I feel like it was made for me, because the pliable scuba-style fabric fits me to a T.
For a more breezy, boho vibe, I picked up this pleated wrap dress. Throw on and go with a pair of flat sandals for daytime, and pair with wedges for dinner! You know I can’t turn down a good shift silhouette! This embroidered number is right up my alley. How wonderful would this crochet-accented midi dress be for my Hawaii trip in May?! Too cute. 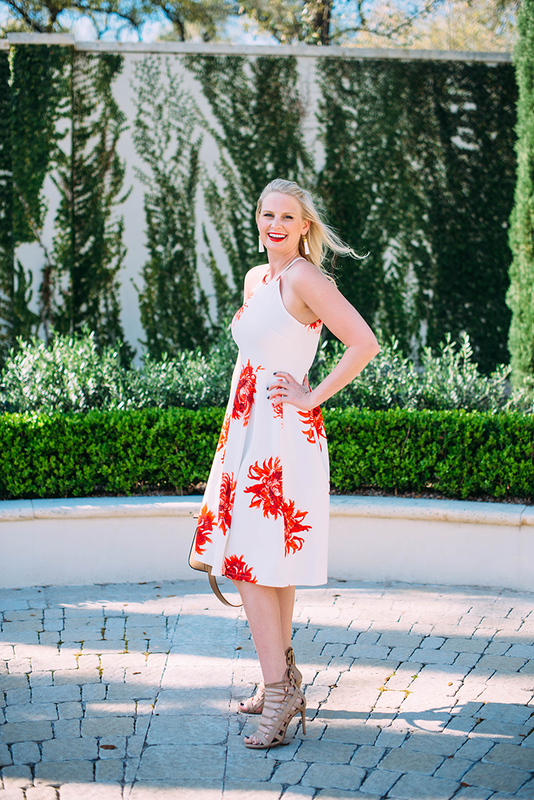 This tropical-print cami dress is another good Hawaii option for throwing on over my bikini for lunch! This blue floral number is so polished it reminds me of Carolina Herrera! That dress is stunning, love this! 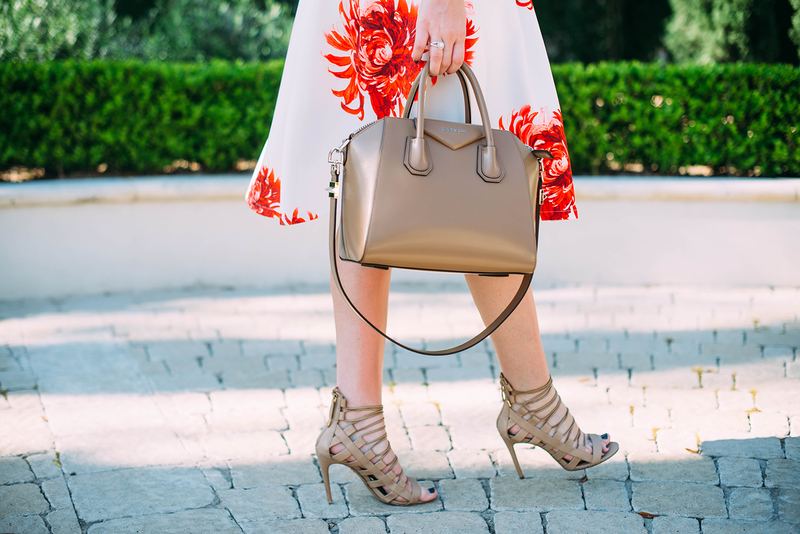 This dress looks WAY more than $77–great find! And I’m debating the white tassels next (or the magenta–so many choices! )…they’re perfect with this outfit! Love this dress Merritt, I am looking for a few dresses for weddings I am going to this spring/summer and this could be perfect! I love the silhouette. Just need to wrap my head around wearing red..for some reason I never really wear red. So glad you had better weather in Austin– Dallas weather has been gross! ooh i was waiting to see where this was from. so beautiful and you look amazing in that floral print! Such a beautiful dress! I can’t believe your mom shot your photos from Austin – they are so gorgeous. 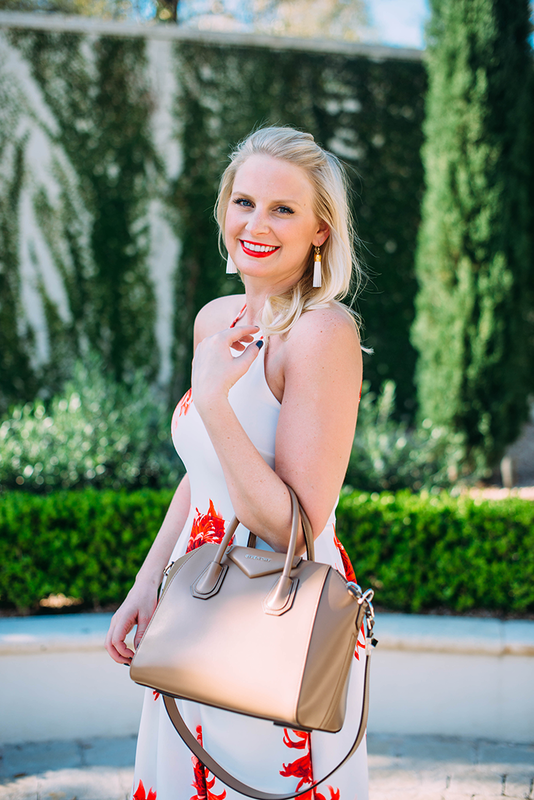 LOVE the matching lip color with this dress! Beauty, this dress is amazing on you! Love the oversized florals! That dress is so pretty on you and such a great deal! Asos always has great pieces at a really affordable price! The print on this dress is amazing :) I can’t wait for spring! Terrific outfit. I could not find enough word to describe this beauty. i am obsessed with this dress! it is stunning!! !